Who decides what is a planet and what is not? For about two centuries, the International Astronomical Union (IAU) has been the official standards-governing body of professional astronomers worldwide. Official names of objects in the universe—for example, asteroids or comets or planets—are suggested to, then approved or rejected by, the IAU committee on names and nomenclatures. The IAU formed a special committee to decide how to classify planets in our solar system because it was becoming scientifically clear that Pluto and other Kuiper Belt Objects would have to be designated in a scientifically valid, practically sensible way. 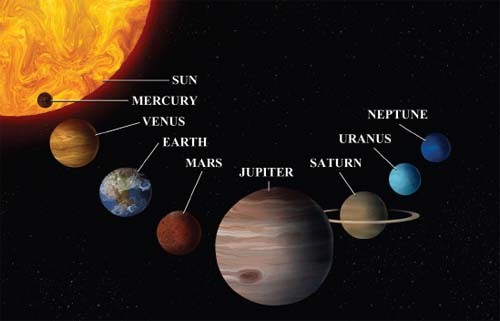 Our solar system includes the Sun and eight planets.